We are SO thrilled to announce that we have booked our first tour for this fall! We can't express enough how honored we feel to be supporting our good friends, The Head and The Heart, on their first headlining tour. We are also excited to share the stage with the wonderful Thao with The Get Down Stay Down. Stay tuned for more dates to come, but this is what we can share with you so far! We also are excited to tell you that we have begun the recording process on our very first full-length album. We are on day two in the studio and can't wait to share our tunes with you! We'll be hard at work during the next few months, so be sure to check back in often for updates and further announcements! We sure hope you all are enjoying your summer as much as we are, and we are looking forward to seeing you at Doe Bay Fest in August and Bumbershoot in September! 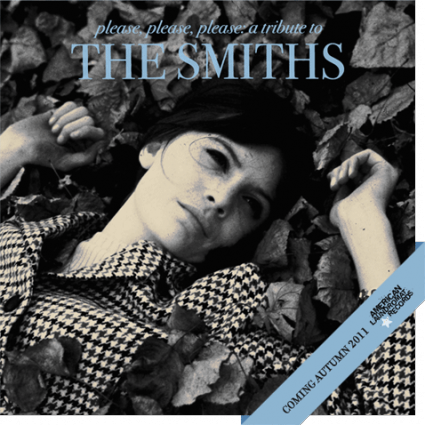 Seattle Shoegazers C'est la Mort have announced that they've been selected to contribute to a Smiths tribute album that is set to appear this October. 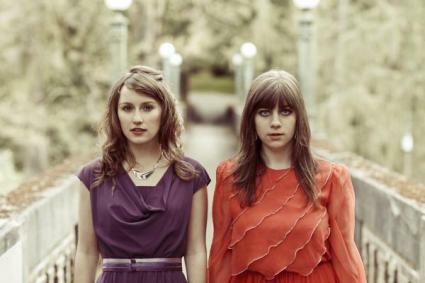 C'est la Mort have an ethereal, warbling sound that sails over a driving undercurrent of tight bass and drums. C'est la Mort are reminiscent of My Bloody Valentine, with less muddy vocals, but more closely related to the likes of Comsat Angels, Slowdive and the Chameleons. Their last album, Empty Words Fill Lonely Spaces, which sold out in hard copy form, is available for download at their bandcamp site for the skimpy price of $8. 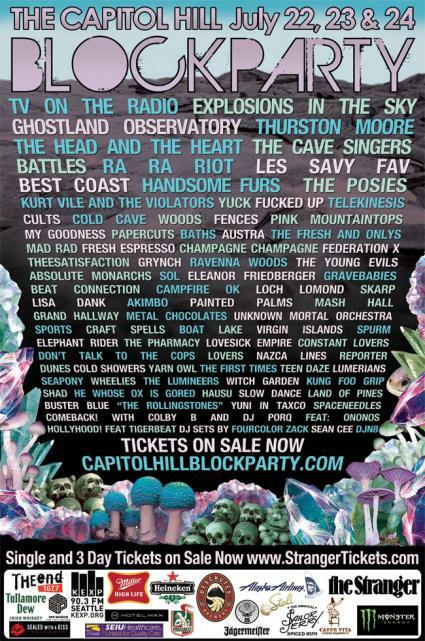 Capitol Hill Block Party Next Weekend! And by the by, if you have not seen Les Savy Fav before, I feel that there is a tremendous void living within you that, though you may not know what it is, exists as a tiny voice or ache screaming for the wild antics of Tim Harrington thrusting himself into and onto the crowd, stripping down to his skivvies, and climbing buildings and trees whilst accurately howling every word in every song. I saw them at the "Green Fest" in Chicago a month ago, and during a madcap run through the crowd, he hugged a friend of mine who was wearing a RISD shirt (Harrington's alma mater) and handed said friend a broken half of sunglasses. It made my friend's night (Hey, Jon Fernandez!). Plenty of local acts abound, see them all and use sunscreen. Tonight at the Rendezvous Strong Killings are ripping through their new album "Annals of Animals." This Seattle three-piece play an incendiary set, be there at 10 for the festivities. Hounds of the Wild Hunt and Boom City open. 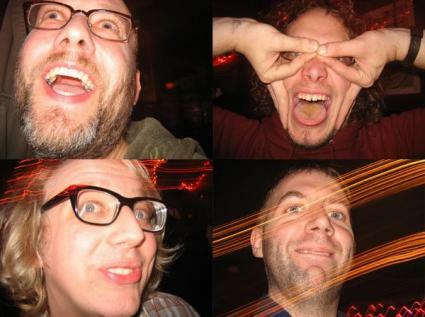 The Unnatural Helpers have been banging around Seattle for a few years now as the perennial hobbyhorse of singer / drummer / songwriter / sole consistent member Dean Whitmore, who has also spent time with such Seattle outfits as the Intelligence, Welcome and Dipers. 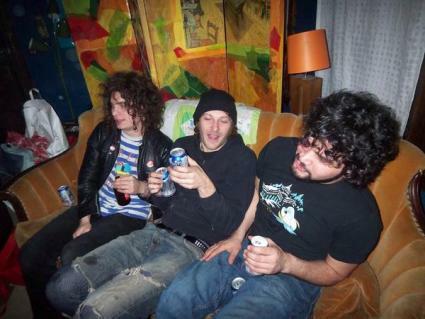 Despite the myriad lineup changes over the years, the band has managed to retain and expand on its original sound in a steady and cohesive way - anyone who has witnessed the live show over the years will be well familiar with the band's taut, muscular guitar-rock, driven by Whitmore's whip-tight drumming and usually caustic, often self-deprecating vocals. Oh, and the songs are always short. Very short. No words should be wasted listing off the dozen or so people that have passed through the ranks, and even as this is being typed it remains impossible to guess at who all is playing in the current lineup of the band, so let's just agree to focus on the folks that played on the record. Guitar and sporadic vocal duties are held down by Andrew Greager (Scraps, Popular Shapes) and Johnnie Heinz, while Andrew Sullivan (The Trashies) provides swaggering bass lines throughout, as well as some guitar and the occasional backing vocal. All the way through Whitmore's half sung / half shouted vocals and lashing drums seem to be racing the rest of the instruments to end of the song. 07/20 - Seattle, WA - Funhouse !